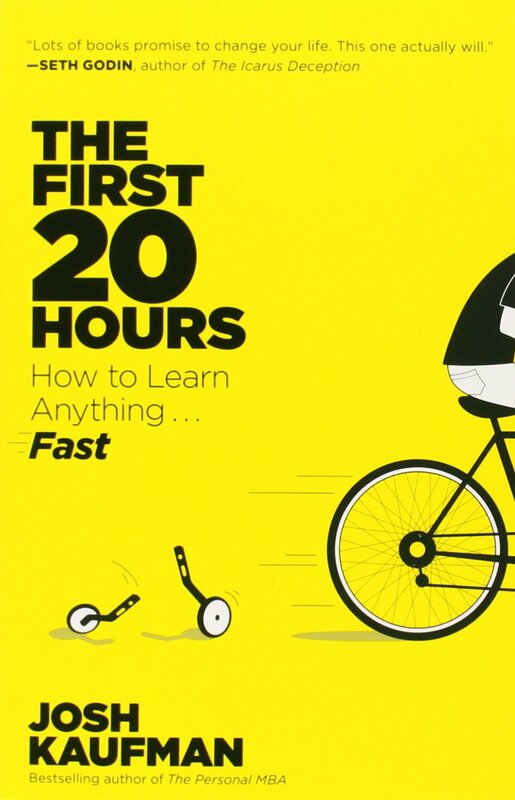 When people first start it took them a long time to learn something. With a little practice they get better and better. 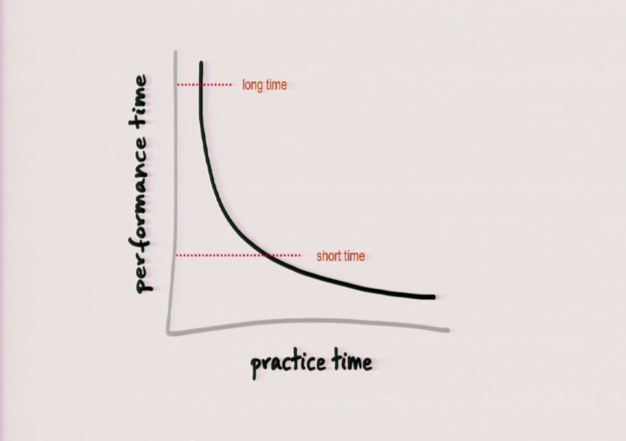 And that early part practice is really efficient — people get good at things with just a little bit of practice. When you first start, you are grossly incompetent and you know it. 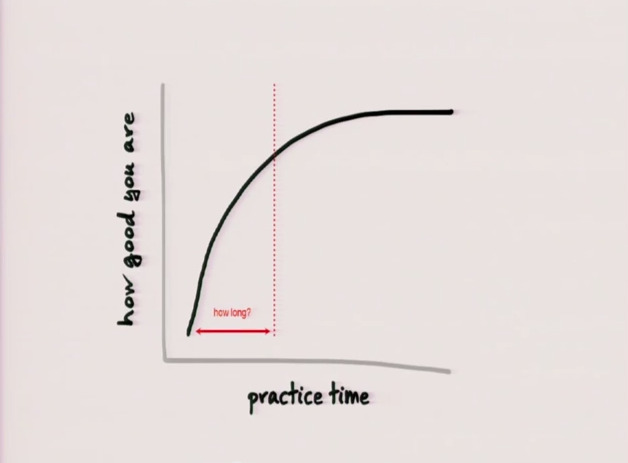 With practice, you get really good really quick. Then you reach a plateau and subsequent gains become much harder to get.